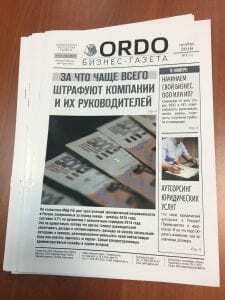 We added new edition of ORDO news paper to out portfolio . Our review page gets one more feedback from the head of the magazine City” (Rostov-na-Dony) Angelica Tolochna. We`ve updated our Portfolio and added new editions. ur designers work hard on the design and mockup following projects magazine.